Christmas is fast approaching but have no fear, here is a festive, last-minute, Christmas Gift Guide 2015! First off slippers or socks, Christmas themed or plain it’s something that everyone enjoys receiving. I was sent these super cute ASOS Christmas Santa Cosy Socks as I am part of Access All Asos and they are so gorgeous! Other options are bath and kitchen themed gifts, a brand I love for their festive toiletries is I Love… . This year they have a range of different gift sets you can pick up, a lot in supermarkets so keep your eyes peeled if you’re in a real last-minute Christmas dash. They have a new scent, Chocolates and Oranges, which is divine and perfect for this time of year. They also have a gingerbread scent available at Primark. You can pick up lovely, different sized gift sets like my I Love… Little Bag of Love at Superdrug. Something that will go down well with anyone who loves to cook is Kitchen wear. I love this Kitchen Conversions Chalkboard for in my house and it is now reduced by over 50% to £7.40. If you’re a little stuck on gift inspiration a mug always goes down well. 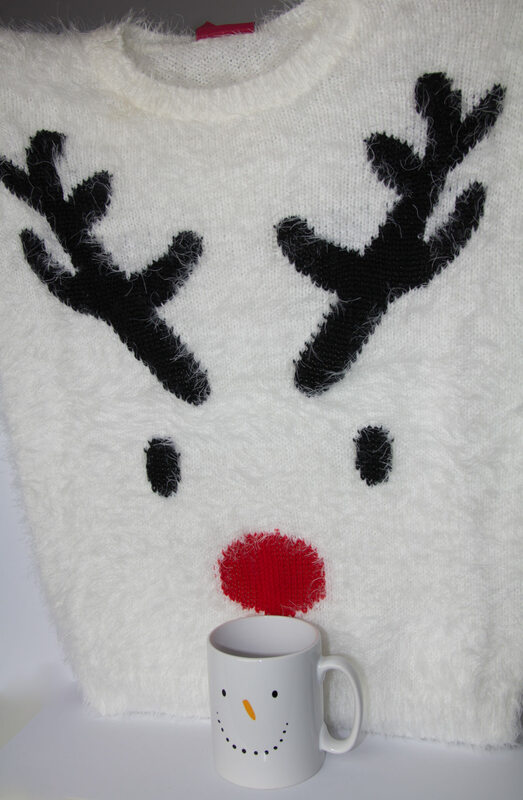 I recently took part in a blogger Secret Santa with Workwear Express and received this awesome snowman mug. It would look great filled with sweets and wrapped in cellophane as a present. I also received this super cute reindeer christmas jumper, unfortunately in the wrong size (xs/8), but I am sure someone in my house will make use of it. Another blogger Secret Santa I was involved with was with JustMyLook. I received some lovely gifts from my Secret Santa from Anthropologie and had to include these lovely items in my Christmas Gift Guide 2015. They are great for gifting strangers or people you don’t know very well up to your closest friend. I love Anthropologie so much and the quality is always fantastic. 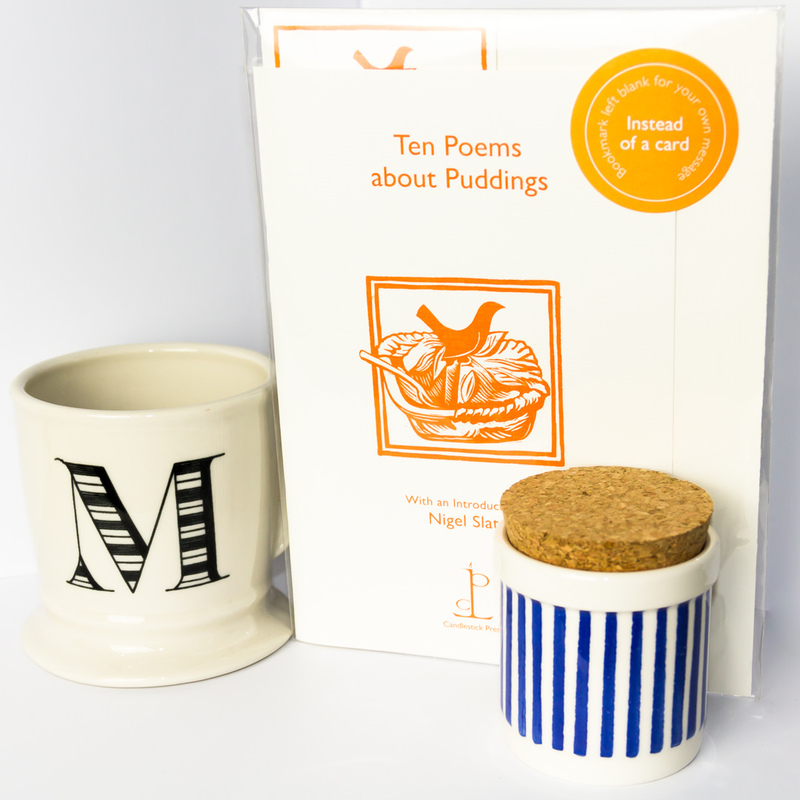 As you can see I received a blue Painterly Spice Jar, a 10 Poems About Puddings and Monogrammed Mug which looks to lovely to use. I hope you have found my Christmas Gift Guide 2015 useful and happy shopping! Previous Post Wedding weight loss #12 – 1 and a half stone loss!